Background: We tend to think of Nazism in black and white, since most photographs and films are in black and white. But the Nazis used color to excellent effect. 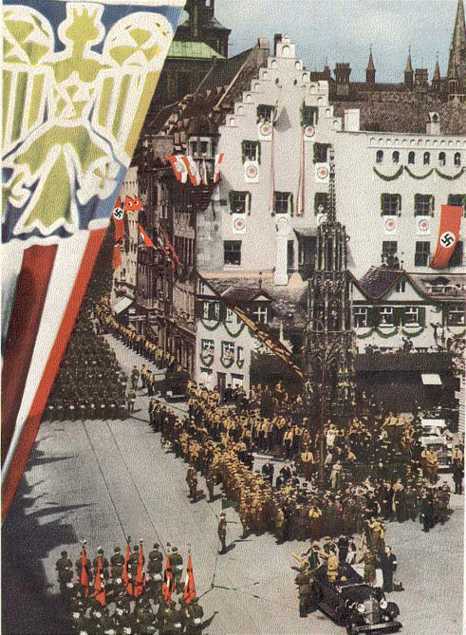 Here are three photographs of the 1938 Nuremberg rally. The pictures are thumbmails: click on them for a larger version. The source: The first two illusrations are from Hanns Kerrl, Reichstagung in Nürnberg 1938 (Berlin: Vaterländischer Verlag C. M. Weller, 1939). The third is the cover of NS Frauen-Warte, the first October issue of 1938. This photograph is of the S.A. rally. 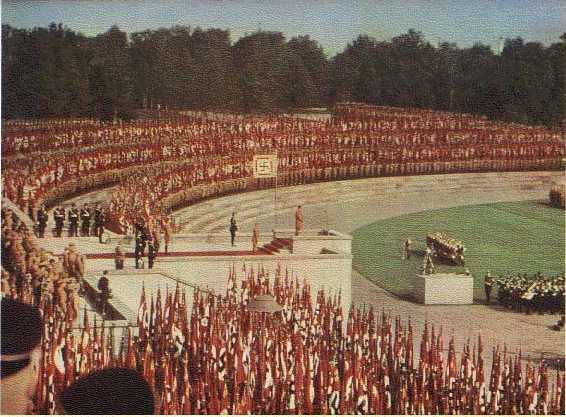 Note the camera on the white platform directly ahead of Hitler, who is standing at the front of the speakerâ€™s platform. 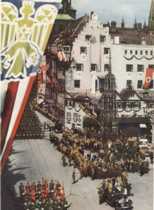 Late in each rally, there was a huge parade in the center of Nuremberg. If you have seen Riefenstahlâ€™s Triumph of the Will, you will recognize the scene. Second to the left is Rudolf Heß, to the right Hermann Göring. 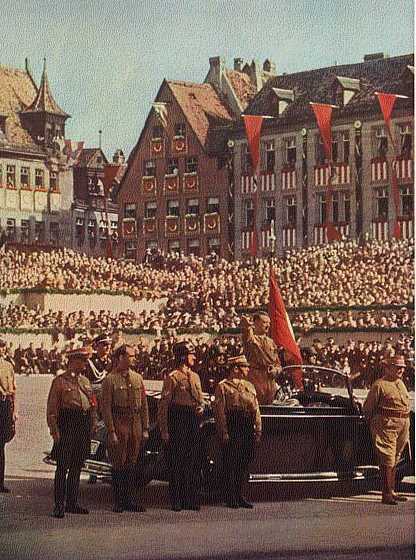 Hitler reviews the parade in the center of Nuremberg.